We are pleased to announce Diana Wortham Theatre was selected as Small Business of the Month. Read on for our interview with Diana Wortham Theatre's John Ellis. Tell us a little history of the company. 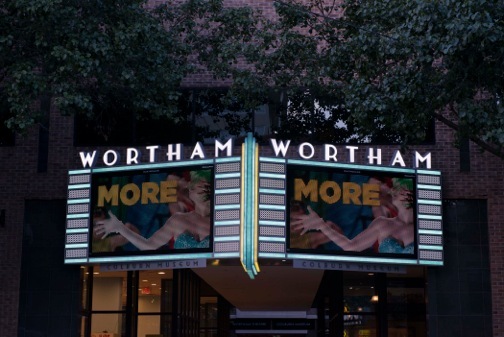 The Diana Wortham Theatre opened in 1992 as part of the Pack Place complex, a major downtown revitilization project to anchor the revival of the Pack Square area of downtown Asheville. Unlike the other spaces within the Pack Place complex, the theatre was not built for any particular organization. The drivers behind the creation of Pack Place knew that for downtown to become alive again, it needed public attractions and a nightlife. As testament to the success of Pack Place and the Wortham Theatre, when it opened there was but one restaurant in the vicinity, Café on the Square, which had opened just two years earlier. Today, there are more than 20 restaurants within a one-block radius and the sidewalks of downtown are alive again. Like the creation of an industrial park with no known tenant, the Wortham Theatre had no specific users in mind when it was created. Today it is the home of more than 20 local performing arts organizations, from the avocational to the professional. Many did not exist when the theatre was built, but decided to begin their operations in Asheville rather than elsewhere because the community had invested in and created this community resource. Among these are organizations such as the Asheville Lyric Opera, Terpsicorps Theatre of Dance, and the Asheville Puppetry Alliance. 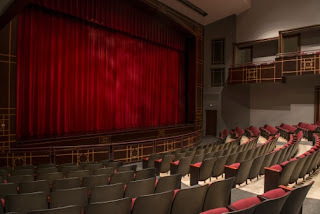 The theatre is also a gathering place for civic organizations in the community and has been used by numerous businesses and organizations such as the Asheville Chamber of Commerce and Advantage West. As you expand, hire good people and let them grow with you. Never lose sight of the customer. With respect to the DWT that is the audience - be they adults or school children. It makes no difference if they are a customer of a local arts group, or a customer for your own program - they are a customer of the theatre’s. The ultimate beneficiary is always the audience. The window which looks out on to Biltmore Avenue and Posana Café. My desk faces this window, and I enjoy watching the activity along the street all day long. The entire Pack Place complex is going through a major restructuring - physically and organizationally to accommodate the exciting expansion plans of the Asheville Art Museum. In response, the DWT is reorienting its visitor to a new entrance from Biltmore Avenue marked by a new marquee. Other plans involve the creation of new, smaller performance space next to the Wortham Theatre and other improvements to enhance the patron’s experience. 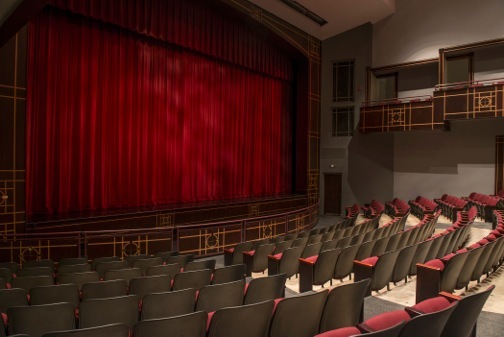 There is always something new on the horizon as the theatre presents or hosts more than 150 different events each year. It is like introducing more than a 100 new products every year and finding the right market for them. It’s a transient business as each product lasts for just a few hours to perhaps a few days, and then it is gone and on to the next venture. 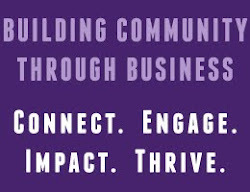 The Asheville Chamber’s tagline is “Connect. Engage. Impact. Thrive.” Pick one or more of these words and tell us what it means to you as a small business in Asheville. 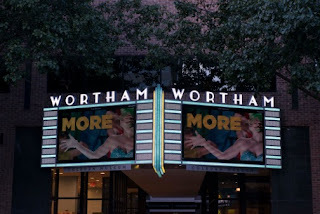 The primary function of the Wortham Theatre is to "connect" artists with audiences, and then to watch the magic happen. There is nothing like a live performance as the artist feeds off the energy of the audience and the audience experiences a unique product every night. We ‘engage’ our audience in that journey and the exploration of new work and experiences. We ‘engage’ more than 9,000 student and teachers every year from throughout western North Carolina with curriculum related performances that effectively teach ideas and lessons in a way that cannot be done in the classroom. We have an ‘impact’ on not only the residents of our region, but also contribute to and benefit from the ever growing tourism market and economy in our region. More than 20% of patrons who attend the theatre every year are from outside the immediate market. We ‘thrive’ on the reactions of an audience engaged with an artist on the stage. It can be a transformational experience. There is no more clear example than the night Janis Ian played to an audience less than two weeks after 9/11. Janis didn’t know if she could or should perform. The audience didn’t know if they should be there. It was a somber audience that showed up and filled the seats. Janis opened with a song she had just written two days before in response to the tragedy. She told a story and the audience quietly laughed - perhaps for the first time in nearly two weeks. They laughed again - louder this time - comforted by those around them doing the same. They were in a room with an artist and fellow citizens. By the end of the evening they were transformed - they experienced the healing power of communally sharing a positive, powerful event. They left the theatre that night smiling, knowing that it was going to be ‘okay’ - that we as a society would survive and thrive.